The differentiation between planets and dwarf planets is very recent. Until the mid-2000s, schoolchildren learned that Pluto was the ninth planet in the solar system. This changed with the discovery of many Pluto-like bodies in the Kuiper belt. With the criteria used at the time, they should have been considered planets. But that might give too much scope to this class of objects. 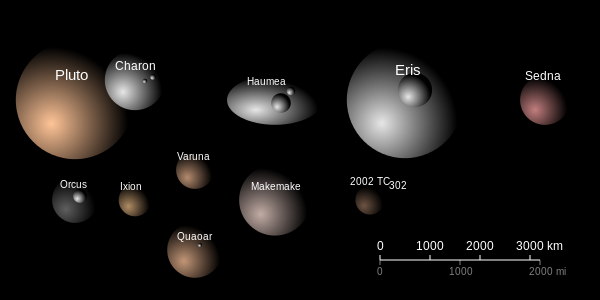 The dwarf planets classification was adopted in 2006 by the International Astronomical Union, with some specific criteria. Like planets, dwarf planets orbit around the sun. They must not be the satellite of another body. They have also accumulated enough mass to be globally spherical. But unlike planets, they did not clean up their orbit. This criterion really makes the difference between a planet and a dwarf planet. 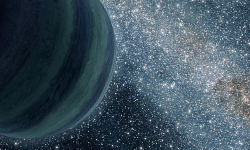 The eight planets of the solar system have cleaned their orbits. Small asteroids and other bodies have been either agglomerated, captured or expelled, which is not the case for Pluto, Ceres and other dwarf planets. This argument is still debated. When can we consider that an object has cleaned its orbit ? Earth, which is considered a planet, still has 10,000 objects on its way. And it is almost impossible to know if the orbit of the exoplanets is cleaned. Since 2006, the solar system officially has five dwarf planets. Other bodies have all the necessary characteristics to be able to claim this status, like Farout, a very distant object. We can also mention Sedna and Varuna. Some researchers believe that the solar system hosts more than 200 bodies that fit the description of a dwarf planet. Therefore, the current classification could change again.